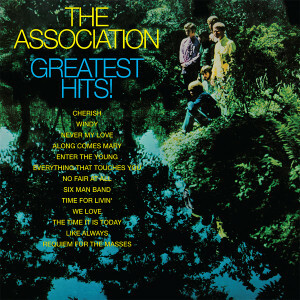 The legendary L.A. pop rockers The Association set the record charts on fire in the sixties and beyond with their superstar brand of harmony driven vocal rock and pop music. The band included the stellar musicianship of Jules Alexander, Terry Kirkman, Jim Yester, Larry Ramos, Russ Giguere, Brian Cole and Ted Bluechel Jr. They would soon go on to sell multiple millions of records with their first two chart topping hits with the controversial Along Comes Mary and of course the ultimate #1 love song of 1966, Cherish.